For almost 200 years humans have been watching the Great Red Spot (GRS) on Jupiter and wondering what’s behind it. Thanks to NASA’s Juno mission, we’ve been getting better and better looks at it. New images from JunoCam reveal some of the deeper detail in our Solar System’s longest-lived storm. For centuries, astronomers have been observing Jupiter swirling surface and been awed and mystified by its appearance. The mystery only deepened when, in 1995, the Galileo spacecraft reached Jupiter and began studying its atmosphere in depth. Since that time, astronomers have puzzled over its colored bands and wondered if they are just surface phenomenon, or something that goes deeper. Thanks to the Juno spacecraft, which has been orbiting Jupiter since July of 2016, scientists are now much closer to answering that question. This past week, three new studies were published based on Juno data that presented new findings on Jupiter’s magnetic field, its interior rotation, and how deep its belts extend. All of these findings are revising what scientists think of Jupiter’s atmosphere and its inner layers. The studies were titled “Measurement of Jupiter’s asymmetric gravity field“, “Jupiter’s atmospheric jet streams extend thousands of kilometres deep” and “A suppression of differential rotation in Jupiter’s deep interior“, all of which were published in Nature on March 7th, 2018. The studies were led by Prof. Luciano Iess of Sapienza University of Rome, the second by Prof. Yohai Kaspi and Dr. Eli Galanti of the Weizmann Institute of Science, and the third by Prof. Tristan Guillot of the Observatoire de la Cote d’Azur. The research effort was led by Professo Kaspi and Dr. Galanti, who in addition to being the lead authors on the second study were co-authors on the other two. The pair have been preparing for this analysis even before Juno launched in 2011, during which time they built mathematical tools to analyze the gravitational field data and get a better grasp of Jupiter’s atmosphere and its dynamics. All three studies were based on data gathered by Juno as it passed from one of Jupiter’s pole to the other every 53-days – a maneuver known as a “perijove”. 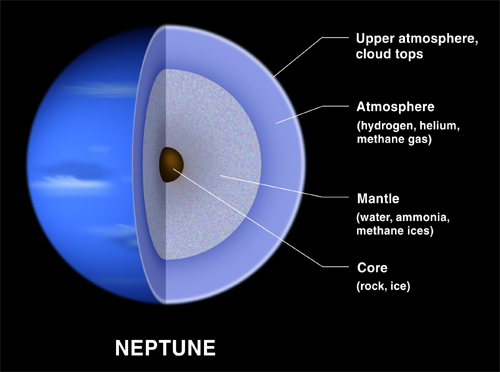 With each pass, the probe used its advanced suite of instruments to peer beneath the surface layers of the atmosphere. In addition, radio waves emitted by the probe were measured to determine how they were shifted by the planet’s gravitational field with each orbit. As astronomers have understood for some time, Jupiter’s jets flow in bands from east to west and west to east. In the process, they disrupt the even distribution of mass on the planet. By measuring changes in the planet’s gravity field (and thus this mass imbalance), Dr. Kaspi and Dr. Galanti’s analytical tools were able to calculate how deep the storms extend beneath the surface and what it’s interior dynamics are like. Above all, the team expected to find anomalies because of the way the planet deviates from being a perfect sphere – which is due to how its rapid rotation squishes it slightly. However, they also looked for additional anomalies that could be explained due to the presence of powerful winds in the atmosphere. In the first study, Dr. Iess and his colleagues used precise Doppler tracking of the Juno spacecraft to conduct measurements of Jupiter’s gravity harmonics – both even and odd. What they determined was Jupiter’s magnetic field has a north-south asymmetry, which is indicative of interior flows in the atmosphere. Analysis of this asymmetry was followed-up on in the second study, where Dr. Kaspi, Dr. Galanti and their colleagues used the variations in the planet’s gravity field to calculate the depth of Jupiter’s east-west jet streams. By measuring how these jets cause an imbalance in Jupiter’s gravity field, and even disrupt the mass of the planet, they concluded that they extend to a depth of 3000 km (1864 mi). From all this, Prof. Guillot and his colleagues conducted the third study, where they used the previous findings about the planet’s gravitational field and jet streams and compared the results to predictions of interior models. From this, they determined that the interior of the planet rotates almost like a rigid body and that differential rotation decreases farther down. In addition, they found that the zones of atmospheric flow extended to between 2,000 km (1243 mi) and 3,500 km (2175 mi) deep, which was consistent with the constraints obtained from the odd gravitational harmonics. This depth also corresponds to the point where electric conductivity would become large enough that magnetic drag would suppress differential rotation. All told, these studies have shed new light on the Jupiter’s atmospheric dynamics and interior structure. At present, the subject of what resides at Jupiter’s core remains unresolved. But the researchers hope to analyze further measurements made by Juno to see whether Jupiter has a solid core and (if so) to determine its mass. This in turn will help astronomers learn a great deal about the Solar System’s history and formation. 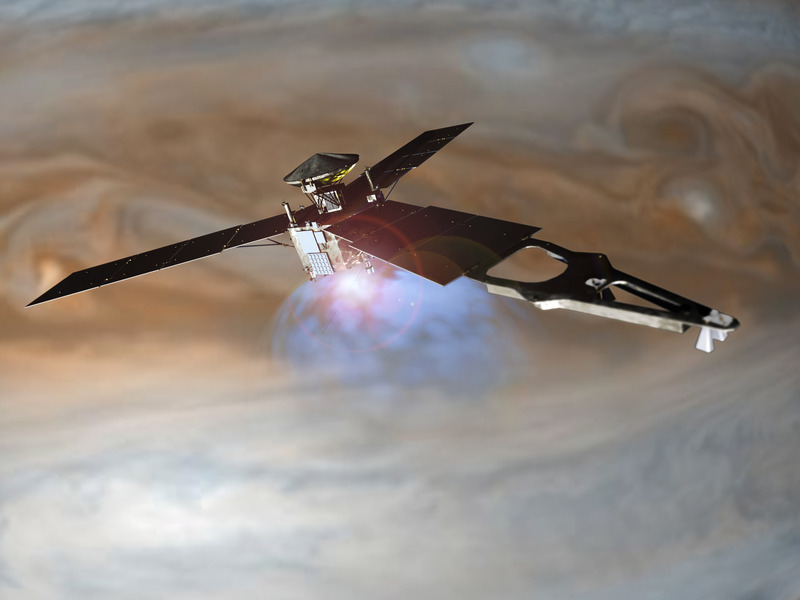 In addition, Kaspi and Galanti are looking to use some of the same methods they developed to characterize Jupiter’s jet streams to tackle its most iconic feature – Jupiter’s Great Red Spot. In addition to determining how deep this storm extends, they also hope to learn why this storm has persisted for so many centuries, and why it has been noticeably shrinking in recent years. The Juno mission is expected to wrap up in July of 2018. Barring any extensions, the probe will conduct a controlled deorbit into Jupiter’s atmosphere after conducting perijove 14. However, even after the mission is over, scientists will be analyzing the data it has collected for years to come. What this reveals about the Solar System’s largest planet will also go a long way towards informing out understanding of the Solar System. Since it established orbit around Jupiter in July of 2016, the Juno mission has been sending back vital information about the gas giant’s atmosphere, magnetic field and weather patterns. With every passing orbit – known as perijoves, which take place every 53 days – the probe has revealed more interesting things about Jupiter, which scientists will rely on to learn more about its formation and evolution. During its latest pass, the probe managed to provide the most detailed look to date of the planet’s interior. In so doing, it learned that Jupiter’s powerful magnetic field is askew, with different patterns in it’s northern and southern hemispheres. These findings were shared on Wednesday. Oct. 18th, at the 48th Meeting of the American Astronomical Society’s Division of Planetary Sciencejs in Provo, Utah. Ever since astronomers began observing Jupiter with powerful telescopes, they have been aware of its swirling, banded appearance. These colorful stripes of orange, brown and white are the result of Jupiter’s atmospheric composition, which is largely made up of hydrogen and helium but also contains ammonia crystals and compounds that change color when exposed to sunlight (aka. chromofores). Until now, researchers have been unclear as to whether or not these bands are confined to a shallow layer of the atmosphere or reach deep into the interior of the planet. Answering this question is one of the main goals of the Juno mission, which has been studying Jupiter’s magnetic field to see how it’s interior atmosphere works. Based on the latest results, the Juno team has concluded that hydrogen-rich gas is flowing asymmetrically deep in the planet. These findings were also presented in a study titled Comparing Jupiter interior structure models to Juno gravity measurements and the role of a dilute core, which appeared in the May 28th issue of Geophysical Research Letters. The study was led by Sean Wahl, a grad student from UC Berkeley, and included members from the Weizmann Institute of Science, the Southwest Research Institute (SwRI), NASA’s Goddard Space Flight Center and the Jet Propulsion Laboratory. Another interesting find was that Jupiter’s gravity field varies with depth, which indicated that material is flowing as far down as 3,000 km (1,864 mi). Combined with information obtained during previous perijoves, this latest data suggests that Jupiter’s core is small and poorly defined. This flies in the face of previous models of Jupiter, which held that the outer layers are gaseous while the interior ones are made up of metallic hydrogen and a rocky core. But of course, more passes and data are needed in order to pinpoint how strong the flow of gases are at various depths, which could resolve the question of how Jupiter’s interior is structured. In the meantime, the Juno scientists are pouring over the probe’s gravity data hoping to see what else it can teach them. For instance, they also want to know how far the Great Red Spot extends into the amotpshere. This anticyclonic storm, which was first spotted in the 17th century, is Jupiter’s most famous feature. In addition to being large enough to swallow Earth whole – measuring some 16,000 kilometers (10,000 miles) in diameter – wind speeds can reach up to 120 meters per second (432 km/h; 286 mph) at its edges. Already the JunoCam has snapped some very impressive pictures of this storm, and other data has indicated that the storm could run deep. In fact, on July 10th, 2017, the Juno probe passed withing 9,000 km (5,600 mi) of the Great Red Spot, which took place during its sixth orbit (perijove six) of Jupiter. With it’s suite of eight scientific instruments directed at the storm, the probe obtained readings that indicated that the Great Red Spot could also extend hundreds of kilometers into the interior, or possibly even deeper. As David Stevenson, a planetary scientist at the California Institute of Technology and a co-author on the study, said during the meeting, “It’s not yet clear that it is so deep it will show up in gravity data. But we’re trying”. Other big surprises which Juno has revealed since it entered orbit around Jupiter include the clusters of cyclones located at each pole. 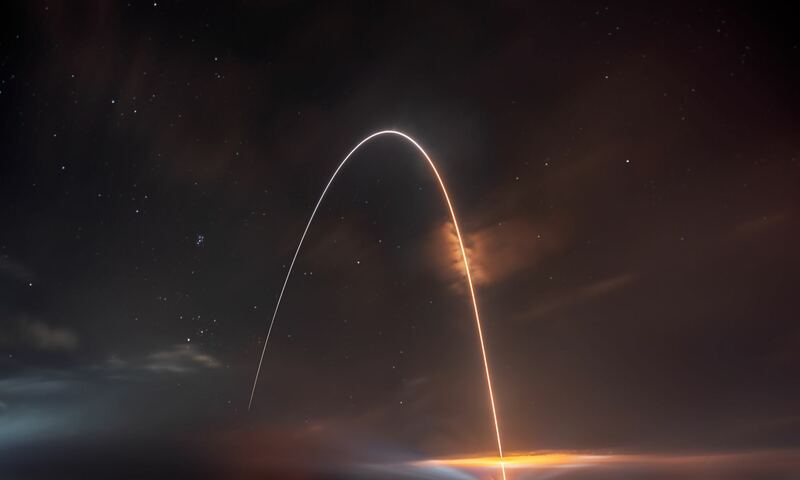 These were visible to the probe’s instruments in both the visible and infrared wavelengths as it made its first maneuver around the planet, passing from pole to pole. Since Juno is the first space probe in history to orbit the planet this way, these storms were previously unknown to scientists. In total, Juno spotted eight cyclonic storms around the north pole and five around the south pole. Scientists were especially surprised to see these, since computer modelling suggests that such small storms would not be stable around the poles due to the planet’s swirling polar winds. The answer to this, as indicated during the presentation, may have to do with a concept known as vortex crystals. As Fachreddin Tabataba-Vakili – a planetary scientist at NASA’s Jet Propulsion Laboratory and a co-author on the study – explained, such crystals are created when small vortices form and persist as the material in which they are embedded continues to flow. This phenomenon has been seen on Earth in the form of rotating superfluids, and Jupiter’s swirling poles may possess similar dynamics. In the short time that Juno has been operating around Jupiter, it has revealed much about the planet’s atmosphere, interior, magnetic field and internal dynamics. Long after the mission is complete – which will take place in February of 2018 when the probe is crashed into Jupiter’s atmosphere – scientists are likely to be sifting through all the data it obtained, hoping to solve any remaining mysteries from the Solar System’s largest and most massive planet. Earlier this week, on Monday, July 10th, the Juno mission accomplished an historic feet as it passed directly over Jupiter’s most famous feature – the Great Red Spot. This massive anticyclonic storm has been raging for centuries, and Juno’s scheduled flyby was the closest any mission has ever come to it. It all took place at 7:06 p.m. PDT (11:06 p.m. EDT), just days after the probe celebrated its first year of orbiting the planet. And today – Wednesday, July 12th, a few days ahead of schedule – NASA began releasing the pics that Juno snapped with its imager – the JunoCam – to the public. As part of the missions’ seventh orbit around the planet (perijove 7) these images are the closest and most detailed look of Jupiter’s Great Red Spot to date. And as you can clearly see by going to the JunoCam website, the pictures are a sight to behold! And as always, citizen scientists and amateur astronomers are already busy processing the images. This level of public involvement in a NASA mission is something quite new. Prior to every perijove, NASA has asked for public input on what features they would like to see imaged. These Points of Interest (POIs), as they are called, are then photographed, and the public has had the option of helping to process them for public consumption. As Scott Bolton – the associate VP at the Southwest Research Institute (SwRI) and the Principle Investigator (PI) of the Juno mission – said in a NASA press release, “For generations people from all over the world and all walks of life have marveled over the Great Red Spot. Now we are finally going to see what this storm looks like up close and personal.” And in just the past two days, several processed images have already come in. Consider the images that were processed by Jason Major – an amateur astronomer and graphic designer who created the astronomy website Lights in the Dark. In the image above (his own work), we see a cropped version of the original JunoCam image in order to put Jupiter’s Great Red Spot center-frame. It was then color-adjusted and enhanced to mark the boundaries of the storm’s “eye” and the swirling clouds that surround it more clearly. Above is another one of Major’s processed images, which was released shortly after the first one. This image shows the GRS in a larger context, using the full JunoCam image, and similarly processed to show contrasts. The same image was processed and submitted to the Juno website by amateur astronomers Amadeo Bellotti and Oliver Jenkins – though their submissions are admittedly less clear and colorful than Major’s work. Other images include “Juno Eye“, a close up of Jupiter’s northern hemisphere that was processed by our good friend, Kevin M. Gill. Shown below, this image is a slight departure from the others (which focused intently on Jupiter’s Great Red Spot) to capture a close-up of the swirls in Jupiter’s northern polar atmosphere. Much like the GRS, these swirls are eddies that are created by Jupiter’s extremely high winds. The Juno mission reached perijove – i.e. the point in its orbit where it is closest to Jupiter’s center – on July 10th at 6:55 p.m. PDT (9:55 p.m. EDT). At this time, it was about 3,500 km (2,200 mi) above Jupiter’s cloud tops. Eleven minutes and 33 seconds later, it was passing directly over the anticyclonic storm at a distance of about 9,000 km (5,600 mi); at which time, all eight of its instruments were trained on the feature. In addition to the stunning array of images Juno has sent back, its suite of scientific instruments have gathered volumes of data on this gas giant. In fact, the early science results from the mission have shown just how turbulent and violent Jupiter’s atmosphere is, and revealed things about its complex interior structure, polar aurorae, its gravity and its magnetic field. The Juno mission reached Jupiter on July 5th, 2016, becoming the second probe in history to establish orbit around the planet. By the time the mission is scheduled to end in 2018 (barring any mission extensions), scientist hope to have learned a great deal about the planet’s structure and history of formation. Given that this knowledge is likely to reveal things about the early history and formation of the Solar System, the payoffs from this mission are sure to be felt for many years to come after it is decommissioned. In the meantime, you can check out all the processed images by going to the JunoCam sight, which is being regularly updated with new photos from Perijove 7! On April, 7th, 2017, Jupiter will come into opposition with Earth. This means that Earth and Jupiter will be at points in their orbit where the Sun, Earth and Jupiter will all line up. Not only will this mean that Jupiter will be making its closest approach to Earth – reaching a distance of about 670 million km (416 million mi) – but the hemisphere that faces towards us will be fully illuminated by the Sun. Because of its proximity and its position, Jupiter will be brighter in the night sky than at any other time during the year. Little wonder then why NASA and the ESA are taking advantage of this favorable alignment to capture images of the planet with the Hubble Space Telescope. Already, on April 3rd, Hubble took the wonderful color image (shown above) of Jupiter, which has now been released. Using its Wide Field Camera 3 (WFC3), Hubble was able to observe Jupiter in the visible, ultraviolet and infrared spectrum. From these observations, members of the Hubble science team produced a final composite image that allowed features in its atmosphere – some as small as 130 km across – to be discernible. These included Jupiter’s colorful bands, as well as its massive anticyclonic storms. The largest of these – the Great Red Spot – is believed to have been raging on the surface ever since it was first observed in the 1600s. In addition, it is estimated that the wind speeds can reach up to 120 m/s (430 km/h; 267 mph) at its outer edges. And given its dimensions – between 24-40,000 km from west to east and 12-14,000 km from south to north – it is large enough to swallow the Earth whole. Astronomers have noticed how the storm appears to have been shrinking and expanding throughout its recorded history. And as the latest images taken by Hubble (and by ground-based telescopes) have confirmed, the storm continues to shrink. Back in 2012, it was even suggested that the Giant Red Spot might eventually disappear, and this latest evidence seems to confirm that. No one is entirely sure why the storm is slowly collapsing; but thanks to images like these, researchers are gaining a better understanding of what mechanisms power Jupiter’s atmosphere. Aside from the Great Red Spot, the similar but smaller anticyclonic storm in the farther southern latitudes – aka. Oval BA or “Red Spot Junior” – was also captured in this latest image. Located in the region known as the South Temperate Belt, this storm was first noticed in 2000 after three small white storms collided. Since then, the storm has increased in size, intensity and changed color (becoming red like its “big brother”). It is currently estimated that wind speeds have reached 618 km/h (384 mph), and that it has become as large as Earth itself (over 12,000 km, 7450 mi in diameter). And then there are the color bands that make up Jupiter’s surface and give it its distinct appearance. These bands are essentially different types of clouds that run parallel to the equator and differ in color based on their chemical compositions. Whereas the whiter bands have higher concentrations of ammonia crystals, the darker (red, orange and yellow) have lower concentrations. Similarly, these color patterns are also affected by the upwelling of compounds that change color when they are exposed to ultraviolet light from the Sun. Known as chromophores, these colorful compounds are likely made up of sulfur, phosphorous and hydrocarbons. The planet’s intense wind speeds of up to 650 km/h (~400 mph) also ensure that the bands are kept separate. These and other observations of Jupiter are part of the Outer Planet Atmospheres Legacy (OPAL) progamme. Dedicated to ensuring that Hubble gets as much information as it can before it is retired – sometime in the 2030s or 2040s – this program ensures that time is dedicated each year to observing Jupiter and the other gas giants. From the images obtained, OPAL hopes to create maps that planetary scientists can study long after Hubble is decommissioned. The project will ultimately observe all of the giant planets in the Solar System in a wide range of filters. The research that this enables will not only help scientists to study the atmospheres of the giant planets, but also to gain a better understanding of Earth’s atmosphere and those of extrasolar planets. The programme began in 2014 with the study of Uranus and has been studying Jupiter and Neptune since 2015. In 2018, it will begin viewing Saturn. Jupiter from January 7th, 0217. Image credit and copyright: Fred Locklear. Been missing the evening planets? Currently, Saturn and Venus rule the dawn, and Mars is sinking into the dusk as it recedes towards the far side of the Sun. The situation has been changing for one planet however, as Jupiter reaches opposition this week. Currently in the constellation Virgo near the September equinoctial point where the celestial equator meets the ecliptic in 2017, Jupiter rules the evening skies. Orbiting the Sun once every 11.9 years, Jupiter moves roughly one zodiacal constellation eastward per year, as oppositions for Jupiter occur about once every 399 days. 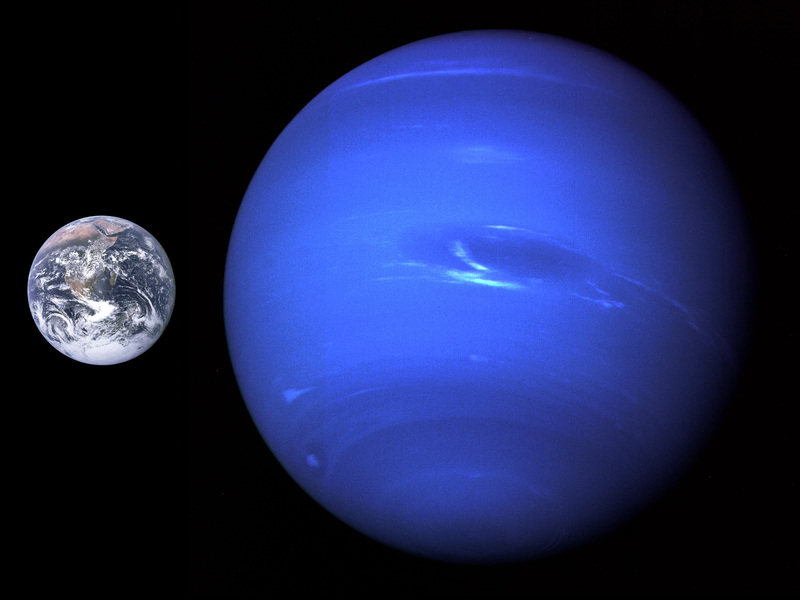 As the name implies, “opposition” is simply the point at which a planet seems to rise “opposite” to the setting Sun. At opposition 2017 on Friday, April 7th, Jupiter shines at magnitude -2.5 and is 666.5 million kilometers distant. Jupiter just passed aphelion on February 16th, 2017 at 5.46 AU 846 million kilometers from the Sun, making this and recent oppositions slightly less favorable. An April opposition for Jupiter also means it’ll now start to occur in the southern hemisphere for this and the next several years. Jupiter crosses the celestial equator northward again in 2022. The path of Jupiter through 2017. Image credit: Starry Night. Can you see Ganymede with the naked eye? Shining at magnitude +4.6, the moon lies just on the edge of naked eye visibility from a dark sky site… the problem is, the moon never strays more than 5′ from the dazzling limb of Jupiter. Here’s a fun and easy experiment: attempt to spot Ganymede through this month’s opposition season, using nothing more than a pair of MK-1 eyeballs. Then at the end of the month, check an ephemeris for greatest elongations of the moon. Any matches? With binoculars, the first thing you’ll notice is the four bright Galilean moons of Io, Europa, Ganymede and Callisto. At about 10x magnification or so, Jupiter will begin to resolve as a disk. With binoculars, you get a very similar view of Jupiter as Galileo had with his primitive spy glass. At the telescope eyepiece at low power you can see the main cloud bands of Jove, the northern and southern equatorial belts. Shadow transits and eclipses of the Jovian moons are also fun to watch, and frequent for the innermost two moons Io and Europa. Orbiting Jupiter once every seven days, transits of Ganymede are less frequent, and outermost Callisto is the only moon that can “miss” Jupiter on occasion, as it does this year until transits resume in 2020. Jupiter an the Great Red Spot from January 29th, 2017. Image credit and copyright: Efrain Morales. Jupiter’s one of the best planets for imaging: unlike Venus or bashful Mars, things are actually happening on the cloudtops of Jove. You can see smaller storms come and go as the Great Red Spot make its circuit once every 10 hours. Follow Jupiter from sunset through sunrise, and it will rotate just about all the way around once. Strange to think, we’ve been using modified webcams to image Jupiter for over a decade and a half now. Jupiter and Io from 2006. Photo by author. The major moons of Jupiter cast shadows nearly straight back as seen from our vantage point near opposition. After opposition, the shadows of the moons and the planet itself begin to slide to one side and will continue to do so as the planet heads towards quadrature 90 degrees east of the Sun. In 2017, quadrature for Jupiter occurs on July 5th as the planet sits due south for northern hemisphere observers at sunset. Distances to Jupiter vary through opposition, quadrature and solar conjunction, and Danish astronomer Ole Rømer used discrepancies in predictions versus actual observed phenomena of Jupiter’s moons to make the first good estimation of the speed of light in 1676. Double shadow transits are also interesting to watch, and a season of double events involving Io and Europa begins next month on May 12th. Jupiter will rule the dusk skies until solar conjunction on October 26th, 2017. It’s also interesting to note that while the Northern Equatorial Belt has been permanent over the last few centuries of telescopic observation, the Southern Equatorial Belt seems to pull a disappearing act roughly every decade or so. This last occurred in 2010, and we might just be due again over the next few years. The Great Red Spot has also looked a little more pale and salmon over the last few years, and may vanish altogether this century. Finally, the Full Moon typically sits near a given planet near opposition, as occurs next week on the evening of April 10/11th. Jupiter, the Moon and Spica on the evening of April 10th. Credit: Stellarium. The next occultation of Jupiter by the Moon occurs on October 31st, 2019. Don’t miss a chance to observe the king of the planets in 2017. – Here’s a handy JoveMoons for Android and Iphone for planning your next Jovian observing session. -Be sure to check out our complete guide to oppositions, elongations, occultations and more with our 101 Astronomical Events for 2017, a free e-book from Universe Today. -Send those images of Jupiter in to Universe Today’s Flickr forum. When we used to do the Virtual Star Party (and I really need to start those up again, they were super fun), I had the worst luck with Jupiter’s Great Red Spot. Whenever Jupiter was in the sky, the Great Red Spot always eluded us. Even though we should have had a 50/50 shot at seeing the massive storm on Jupiter, it was always hiding. Why so shy Jovian storm? Jupiter’s Great Red Spot is an enormous swirling storm located on a band of clouds just south of the planet’s equator. It’s been there as long as people have been observing Jupiter with good enough telescopes to resolve it. Astronomers somewhat disagree exactly when that was. The first person to mention a spot on Jupiter was Robert Hooke, who described it in 1664, but he placed it in the northern hemisphere. Oops. A more reliable account comes from Giovanni Cassini, best known for his observations of Saturn. He observed a permanent spot in roughly the same location from 1665 to 1713. The strange part is that astronomers lost track of it until 1830, when the modern Spot we know today was clearly evident. Were they two different spots? Did the GRS disappear and the flare up again? We’ll never know. But really, isn’t that just splitting hairs? The thought that there’s been an enormous Jovian hurricane swirling away for hundreds of years is awesome and terrifying. Here on Earth, we classify hurricanes as Category 1 when the wind speed crosses 119 km/h. A Category 4 hurricane can hit more than 250 km/h. That’s scary fast wind speed that can tear apart buildings. The Great Red Spot, on the other hand, can reach almost 650 km/h. How big is this thing, anyway? Trust me, it’s big, but it used to be bigger. When astronomers first started keeping accurate measurements in the late 1800s, the Great Red Spot was about 40,000 kilometers wide and 14,000 kilometers tall. Since that time, it’s been steadily shrinking. When the Voyager spacecraft flew past in the late 1970s, the spot had shrunk to 23,000 kilometers across. In 1995 Hubble measured it as 21,000 kilometers across, and then again in 2009, it was 18,000 kilometers across. About a year ago, Hubble did another measurement, and now it’s only 16,500 kilometers wide. I say “only”, but keep in mind that the Earth measures 12,742 kilometers across. In other words, the Great Red Spot could still swallow up an Earth with room to spare. But this shrinking is continuing by about 930 kilometers per year. And as it shrinks, it’s changing from an oval to a more circular shape. At the same time, the color is changing too, lightening up – perhaps because the storm doesn’t dig too deeply into the lower atmospheric layers. It’s possible that the Great Red Spot could completely disappear within our generation. And then every astronomer would fail to be able to see the Spot, just like me. The Great Red Spot isn’t the only long lived storm on Jupiter, and this could be the reason why the Spot is disappearing. If you look at images of Jupiter from Hubble, you can see other cyclonic storms; the biggest of which is known as Oval BA. It was first observed in 2000, after a few smaller storms collided and merged into a little red spot. Over time, Oval BA has been getting larger and stronger, now it’s about the size of the Earth, and wind speeds have reached more than 600 km/h rivalling the Great Red Spot. Because the bands on Jupiter alternate in directions, astronomers think that storms on the nearby bands are sapping the strength of the Great Red Spot. And perhaps they’re boosting Oval BA. There might be a time when the two spots are roughly the same size. And when the Great Red Spot finally disappears, Oval BA will be there to assume the mantle. Since these storms can clearly grow and shrink over hundreds of years, I wonder what some of the strangest configurations of storms have ever been. I guess future robot-body Fraser will be the one to find out. Good news! At the time that you’re watching this, NASA’s Juno spacecraft arrived at Jupiter on July 4, 2016. For the first time in more than a decade, we have a dedicated spacecraft at Jupiter, mapping, probing and analyzing the giant planet. We should be getting more close up measurements and observations of the Great Red Spot and everything Jovian, so stay tuned, it’s going to be exciting. It’s been widely reported, including at Universe Today, that the apple of Jupiter’s eye, the iconic Great Red Spot (GRS), has been shrinking for decades. Even the rate of shrinkage has been steadily increasing. Back in the late 1800s you could squeeze three Earths inside the GRS. Those were the days. Last May it measured just 10,250 miles (16,496 km) across, big enough for only 1.3 of us. And while new photos from the Hubble Space Telescope show that Jupiter’s swollen red eye has shrunk an additional 150 miles (240 km) since 2014, the good news is that the rate of shrinkage appears to be well, shrinking. The contraction of the GRS has been studied closely since the 1930s; even as recently as 1979, the Voyager spacecraft measured it at 14,500 miles (23,335 km) across. But the alarm sounded in 2012, when amateur astronomers discovered sudden increase in the rate of 580 miles (933 km) a year along with a shift in shape from oval to roughly circular. For the moment, it appears that the GRS is holding steady, making for an even more interesting Jupiter observing season than usual. Already, the big planet dominates the eastern sky along with Venus on October mornings. Consider looking for changes in the Spot yourself in the coming months. A 6-inch or larger scope and determination are all you need. New imagery from the Hubble OPAL program also shows a curious wisp at the center of the Great Red Spot spanning almost the entire width of the hurricane-like vortex. This filamentary streamer rotates and twists throughout the 10-hour span of the Great Red Spot image sequence, drawn out by winds that are blowing at 335 mph (540 km/hr). Color-wise, the GRS remains orange, not red. Currently, the reddest features on the planet are the North Equatorial Belt and the occasional dark, oval “barges” (cyclonic storms) in the northern hemisphere. That’s not all. The photos uncovered a rare wave structure just north of Jupiter’s equator that’s only been seen once before and with difficulty by the Voyager 2 spacecraft in 1979. The scientists, whose findings are described in this just-published Astrophysical Journal paper, say it resembles an earthly atmospheric feature called a baroclinic wave, a large-scale meandering of the jet stream associated with developing storms. Jupiter’s “current wave” riffles across a region rich with cyclonic and anticyclonic storms. The wave may originate in a clear layer beneath Jupiter’s clouds, only becoming visible when it propagates up into the cloud deck, according to the researchers. While it’s thought to be connected to storm formation in the Jovian atmosphere, it’s a mystery why the wave hasn’t been observed more often. 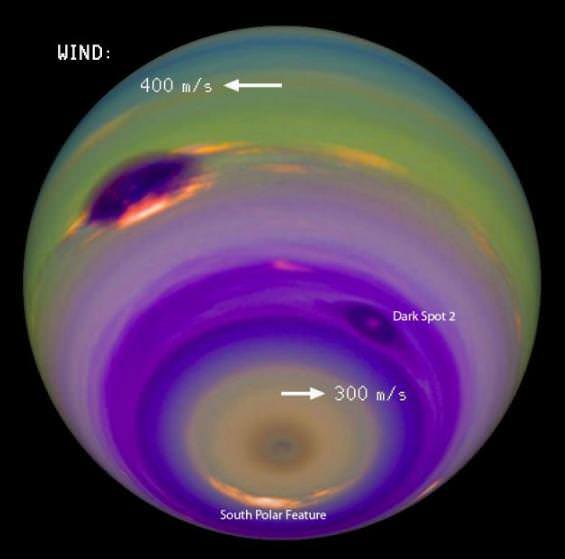 The OPAL program focuses on long-term observation of the atmospheres of Jupiter, Uranus and Neptune until the end of the Saturn Cassini Mission and all four planets afterwords. We have to keep watch from Earth as no missions to Saturn and beyond are expected for quite some time. 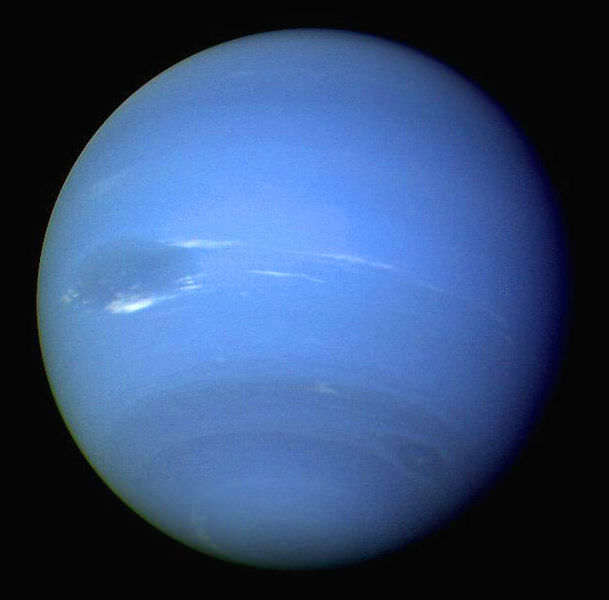 To date, Neptune and Uranus have already been observed with photos to appear (hopefully) soon in a public archive.